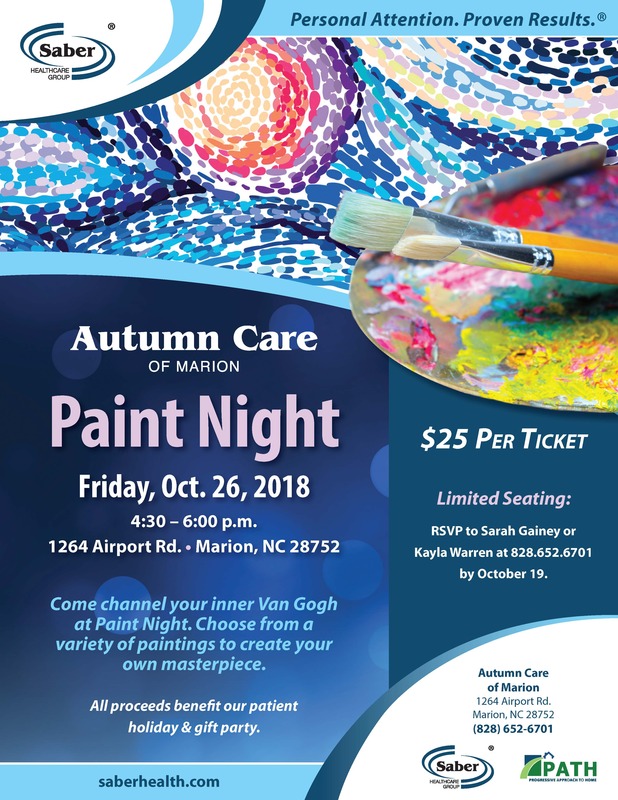 Join us at our Autumn Care of Marion location for a Paint Night on Friday, October 26th from 4:30pm to 6pm. Come channel your inner Van Gogh at Paint Night! Choose from a variety of paintings to create your own, beautiful masterpiece! The cost is $25 per ticket, and there will be limited seating. All proceeds will benefit our patient holiday and gift party! Please RSVP to Sarah Gainey or Kayla Warren at 828-652-6701 by October 19th.